Experience the fist-pumping joy of push-pull puzzle solving in the latest entry of the critically acclaimed Pushmo™ series! Block-based puzzles, charming characters, and a built-in community make the Pushmo World game endless fun for puzzle solvers of all ages. I was new to the franchise when I began playing Pushmo World, but it didn't take long to convert me into a fan. I discovered a constant trickle of "A-ha!" moments that made me feel like I was never far from progress, even when things got tough. That's exactly how I want to feel playing a puzzle game. 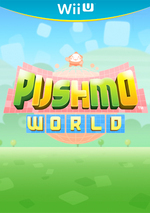 Pushmo World offers other options to break up the monotony. 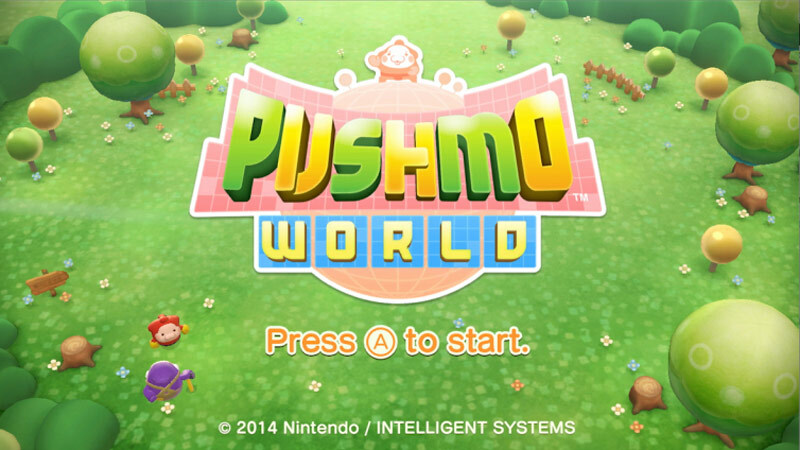 The Pushmo Studio allows players to create their own Pushmo and test it from within the studio to make sure it's solvable. These Pushmo puzzles can be shared via QR codes which can be scanned by the Wii U camera via the World Pushmo Fair, where players can share Pushmo via the Miiverse. As much as I love the originals on the 3DS, this is pretty much the definitive version of Pushmo, especially when you consider the fact that the Wii U GamePad makes it semi-portable. So long as you haven't tired from the core formula yet you won't be disappointed, and genre-fans who haven't played the series in general should pick it up. Pushmo World isn’t the next step for the Pushmo franchise, but it’s still the same fun and challenging puzzle game. The mechanics are easy enough to pick up, but figuring out how to scale the later puzzles will test your ability and patience. My experience with Pushmo World was one of pleasant surprise. I’ve seen previous Pushmo games from afar, but never bothered to give them the time of day. If I had to find something to complain about, it would be that it felt too short. I blew through all of the premade puzzles in little time, but this did give me more time to work on my own creations, as well as play the Pushmos of others. For puzzle lovers, you can't do much better than Pushmo World. It's a great deal with tons of challenging puzzles, lots of variety packed into a simple premise, and tons of play value via the World Fair. The best puzzle games are easy to learn but difficult to master, constantly challenge the player to think in new ways, and ensure that players can't be permanently stumped on a single puzzle. 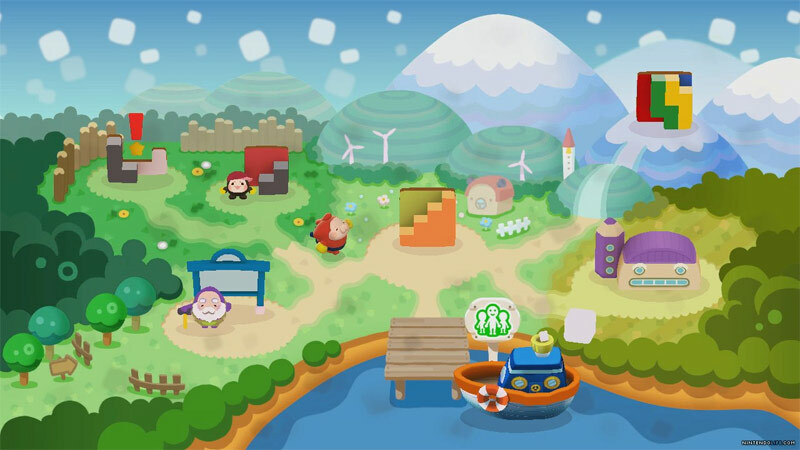 Pushmo World does all that and more with style and charm. Go pick it up on the Wii U and get ready for block-pulling bliss. Even without the creation and sharing tools here, Intelligent Systems' little series continues to tickle the brain just right. Mallo may trick you into thinking a relaxing, smooth time awaits therein, but even when the game gets rough, Pushmo World is well worth visiting. The 'Mo series has been one of Nintendo's best new properties in recent years, so it's great to see it take a leap to the Wii U. And even if you don't consider yourself a master of puzzles, the game does an excellent job of slowly breaking you into its increasing complexity. 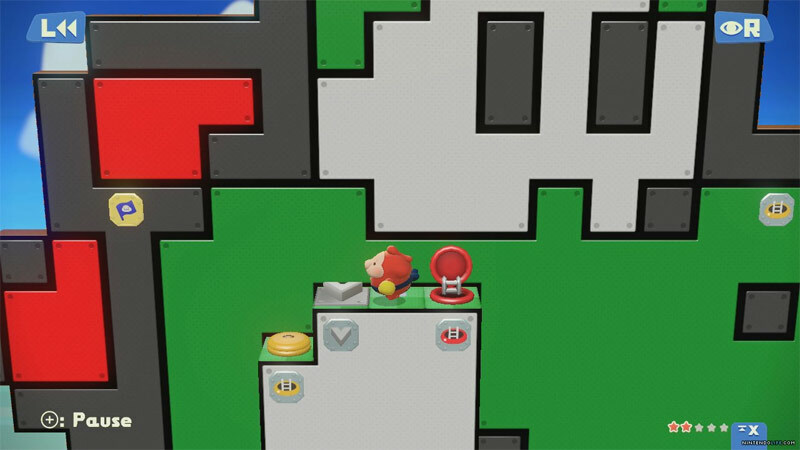 If you're willing to toss some money in Nintendo's direction, Pushmo World offers enough cerebral challenges to keep you busy throughout the summer — or whenever you need some time away from Mario Kart 8. After the departure that was Crashmo (Fallblox), this is also a conservative, by-the-book sequel with that trademark Nintendo polish – you know what you're getting, but what you're getting is delicious. 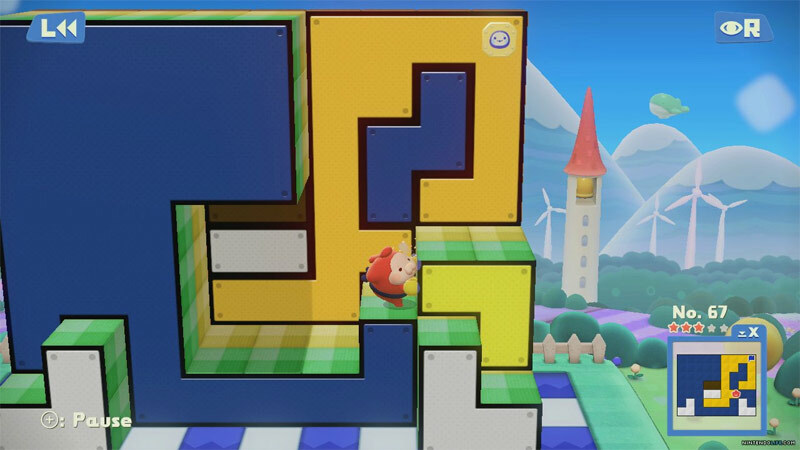 Given the importance of spatial awareness in solving pushmo, the 3D capabilities of the 3DS made it a particularly good fit for these puzzles, and hunkering down in your living room with a console to play a puzzle or two doesn't feel quite as breezy as playing them on the go, so Pushmo World isn't quite the revelation on Wii U that Pushmo was on the 3DS. But the logic of these colorful puzzles is still as satisfying as ever. In the end, it's hard to be too down on Pullblox World. 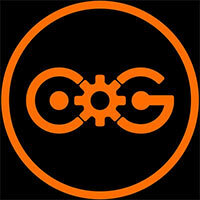 It's a puzzle game and its puzzles are undeniably brilliant. Whether you're an existing fan of this fledgling series or are coming to it for the first time, there's more than enough pleasure to be found in this suite of expertly crafted brainteasers and their beautifully paced escalation. On that basis, you'd have to be some sort of monster not to recommend it. La destacada serie de Nintendo 3DS, Pullblox, se deja querer en Wii U con una entrega que sigue la pauta establecida en el primer título de la saga. De esta forma nos esperan multitud de rompecabezas que nos pondrán las cosas bastante complicadas a medio plazo, si bien su mecánica de juego adictiva y sencilla nos animará a estrujarnos el cerebro una y otra vez. Sí, puede que resulte demasiado continuista y, de hecho, no existe ninguna novedad reseñable en relación a título primigenio. Auch im dritten Teil haben mich die intelligenten japanischen Schiebepuzzles sofort wieder gepackt! Selbst in den kniffligsten Levels fand ich irgendwann doch noch eine Schublade, welche sich auf verblüffend logische Weise in die selbstgebaute Treppe einfügte. Etwas mehr Mühe hätten sich die Entwickler trotzdem geben können: Von wenigen neuen Mechaniken und anderen Details abgesehen wirkt das Wii-U-Debüt der Serie wie eine Erweiterung des 3DS-Pendants. Wo Fallblox ein Schritt nach vorn war, ist das hier einer zur Seite mit anschließender Verbeugung vor einem ebenso einfachen wie kurzweiligen Spielprinzip. Das reicht für ruhige Knobeleien inmitten eines Pools zahlreicher User-Inhalte. Wenn es das ist, was ihr wollt, ist der Download ein „No-Brainer". Und wenn nicht, sollte er immer noch eine ernsthafte Überlegung wert sein. So viele gibt es von dieser Sorte nun auch nicht. Toujours aussi diabolique, toujours aussi millimétré, le concept de Pullblox World vous cramponnera des heures durant au GamePad, que vous soyez du genre à le savourer à petite dose ou à le boulotter durant vos nuits blanches. Bonito visualmente, fortemente interactivo e progressivo na evolução da mecânica ao longo do jogo, os fãs do original vão gostar desta edição e aqueles que ainda não experimentaram nenhum jogo da série vão conhecer um jogo muito completo e sólido. Se fino a questo momento avete utilizzato la vostra Wii U solo per giocare a Mario Kart 8, Super Mario 3D World, Wind Waker HD e avete sempre ignorato quella sezione del Nintendo Shop dedicata ai giochi "indie", forse è venuto il momento di cambiare prospettiva. 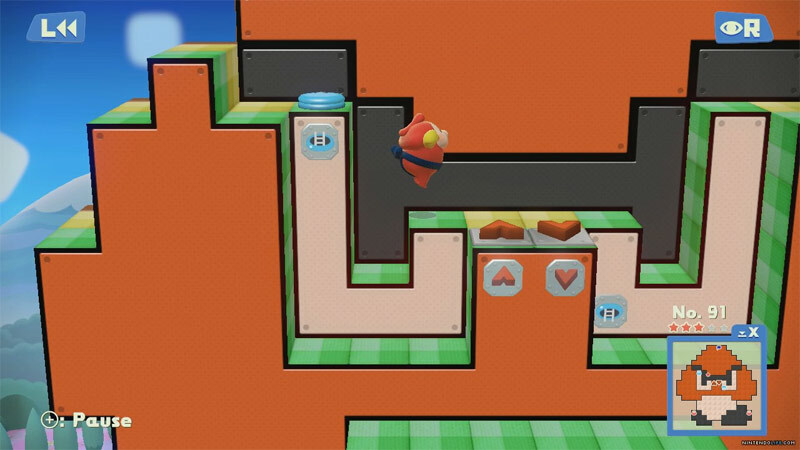 Pullblox World è più un’espansione dell’originale per 3DS, che un seguito del secondo episodio. L’idea di base, fatta di blocchetti colorati da spingere, tirare e scalare come se fossero i cassettoni di un grosso armadio psichedelico, è rimasta praticamente immutata.